Poulan PRO Zero Turn Radius mowers offer the best in comfort, durability and performance. The P54ZX is powered by a powerful 24 HP Briggs & Stratton Professional Series engine and features a robust 54 in. 3-bladed steel deck, ..
Poulan PRO Zero Turn Radius mowers offer the best in comfort, durability and performance. 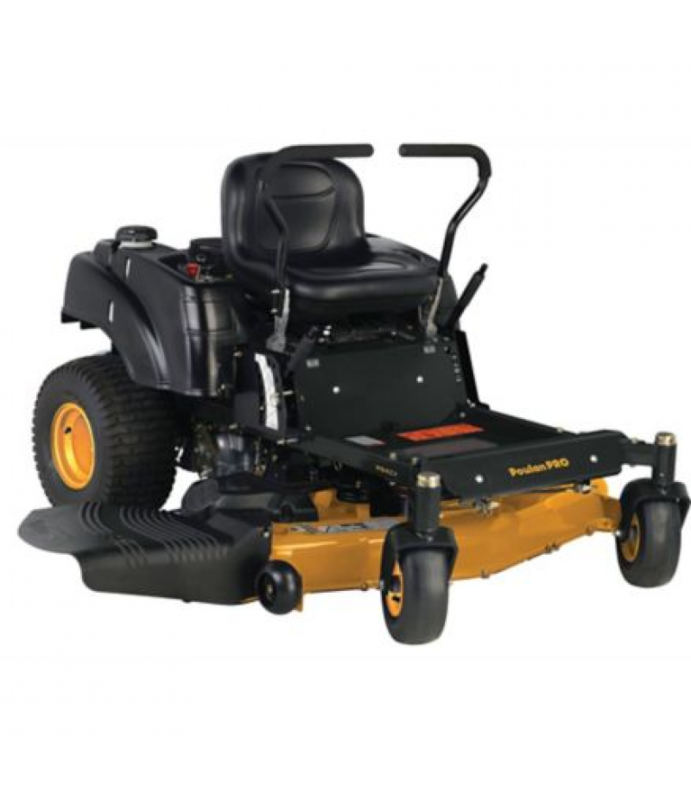 The P54ZX is powered by a powerful 24 HP Briggs & Stratton Professional Series engine and features a robust 54 in. 3-bladed steel deck, a dual-hydrogear EZT drive system and an adjustable cutting height that ranges from 1.5 in. to 4 in. in 1/2 in. increments. Front Tire Size: 11 in. Rear Tire Size: 18 in.